Here’s episode 5 of my Who Wants to Be a Millionaire-Animated Edition game with my friend, Robert Lydon! Does he make it to the million? Watch the game to find out! Be sure to check out his YouTube channel at https://www.youtube.com/user/otherobert . Today, we have Josh Smith from www.thelovepirate.net on as our contestant today. Can he make it to the million? Watch and find out! 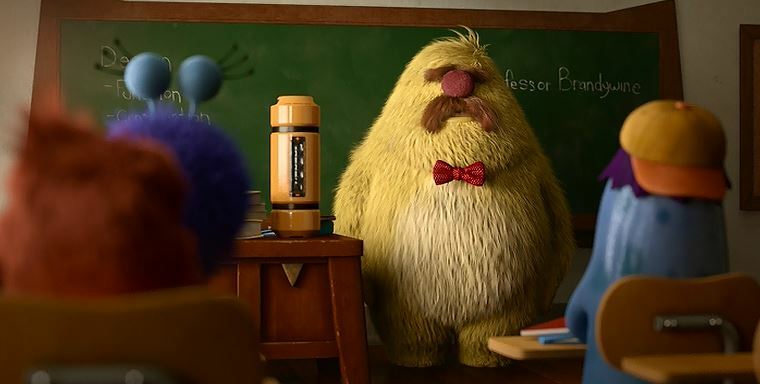 We’re finally at the last Pixar film that I have to do for this project, Monsters University (until Inside Out becomes old enough for me to pick a forgotten/minor character from). I’ve reviewed the film before on this blog and my views of the film are pretty much the same. So, I won’t go over my thoughts on the film or the plot, so if you want to know that, please read my review by clicking here. You can find more of AJ on rotoscopers.com and check out his upcoming blog at therecordracks.blogspot.com .